With Michael Dunlop back on a BMW for the TT, now is a great time to be riding an S1000RR – but why not push the boat out and get the best of the best? Ok, the HP4 isn’t the carbon-framed HP4 Sport, but you can actually legally ride this bike on the public roads and that’s what it’s all about. Well, unless you are a TT-rider with an HP4 Sport. 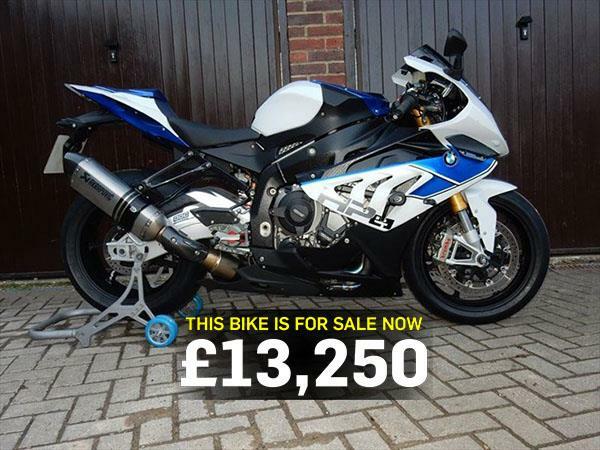 You can see this BMW and find more HP4s for sale here.